The first iPhone shipped to customers back in June of 2007 – less than 12 years ago, but somehow, it feels like smartphones have been around forever. In those 12 years, we’ve seen a lot of changes and updated features for our smartphones and tablets, which encouraged us to upgrade, and upgrade again, and again…to the point there’s a good chance you have an old phone or outdated tablet sitting in a drawer or taking up space on a shelf. But instead of hanging on to digital clutter, consider these options to put your old devices to new use. Smart Home Center – With devices like Google Assistant, Alexa, Nest, Hue, Smart TV’s, and Amazon’s Fire Stick becoming more common and accessible, it makes sense to repurpose your old phone or tablet as a dedicated hub for your smart home enabled tech. You can even use them to set up a media streaming center. The simplest way is to clear unused apps and free up as much data as possible. Download the streaming apps you need, along with any tools you’re using — Google Home, Amazon Fire TV Remote, Nest, Hue, etc. – connect to the same network as the devices, and you’re good to go! Your Child’s First Device – If you’ve ever handed off a $500 phone or tablet to a toddler, you know the gut-felt fear usually only seen in horror movies. But, handing off a phone or tablet that’s been sitting in a drawer or is being replaced with an updated version is a great idea. You’ll want to be sure to lock down any features you don’t want them to access through Parental Controls, and invest in a sturdy case as any device in the hands of a toddler is likely to take a fair amount of punishment. Digital Photo Frame – Remember the first digital photo frames? They were the hottest Christmas present of the year when they were first introduced, but the image quality wasn’t great, and they weren’t really reliable. But, your old Android tablet or iPad can make an excellent scrolling photo display, rolling through hundreds of photos an hour. How To Geek has a simple, easy to follow tutorial on how to make it happen on your Android tablet, and CNET has instructions for your iPad. Besides the vast improvement in image quality, both are WiFi connected, so you can set it up to automatically update to new images. Security Camera/Baby Monitor – There are plenty of options for home security systems available, but remember, security cameras are simply network connected video cameras. Even the older versions of phones and tablets have network connectivity, so they’re perfect for use as home security cameras, baby or even pet monitors. There are many options available for both iOS and Android devices, but one that receives consistently positive reviews from experts is Alfred. The app allows any Wi-Fi connected phone to broadcast its camera feed to any other phone attached to the same account with no limit on the number of cameras you can connect to a single account. Dedicated eBook Reader – I will always prefer an actual physical book to an eReader, but there are times when they come in handy. Using your old iPad or tablet as a dedicated reader, particularly for cookbooks, spares your cookbooks and primary device from the inevitable mess that comes from cooking and baking. Help Scientific Research – Did you know you can take part in important scientific research with apps like BOINC for Android and DreamLab? Both apps use your device’s processing power to run calculations for a variety of research projects – BOINC focuses on research on diseases, global warming, and space, while DreamLab focuses on finding a cure for cancer. 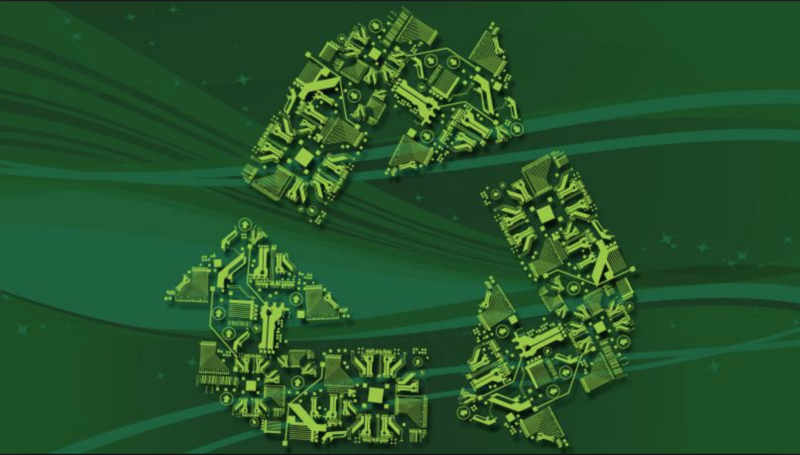 Recycle, Sell, or Donate – If none of these options are viable for you, you can always recycle, sell, or donate your old phones and tablets. The Environmental Protection Agency has a list of locations where you can take your unwanted tech and have it safely disposed of. Many retailers like Target and Best Buy offer trade-in options, and the website Gazelle offers consumers cash for working or broken devices, and offers deals on refurbs, providing less expensive options when upgrading. Lifewire has a list reviewing trade-in programs, including the good and the bad about trade-ins with Amazon, Flypsy, and YouRenew.